The discontinued ASUS VivoPC was a great option for consumers who wanted a low-cost Windows computer for basic media streaming, web browsing, and productivity software. The best aspect of the VivoPC was that it was easy to upgrade both the memory and storage, which many other Mini-PCs did not allow. You may still be able to find this extremely affordable Mini PC online. 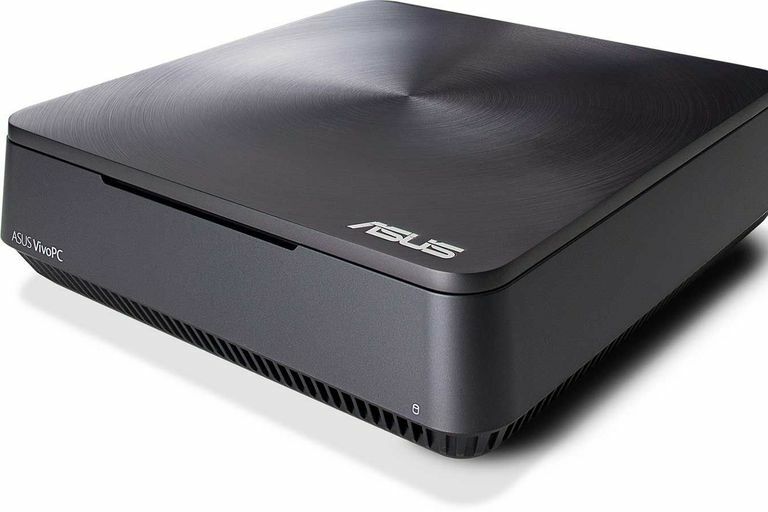 ASUS has had great success with its Chromebox low-cost computer device. Some people want to run Windows, and this is where the VivoPC fits in. It is an extremely affordable mini-PC that can be used as a compact computer hooked up to an HDTV. While this is a mini PC, it is larger than most in the market. It has roughly the same footprint as a Mac mini but is almost a full inch taller. This is because it is designed with some upgrading in mind. Specifically, the top can be removed to access several components, something most other systems do not offer. Storage is pretty much what you would expect from a mini-PC. The VivoPC uses a traditional hard drive to keep the cost down and features a 500 GB storage space which is common in most budget systems. What is different here is that the drive can be removed and replaced by the consumer. Most mini PCs do not have any access to change this. This means that users can upgrade to a larger hard drive if they want or replace the existing drive with a faster solid state drive. If you don't want to work inside the system but want to upgrade it, there are two USB 3.0 ports for use with high-speed external storage. Even though this is a larger mini PC is does not have an optical drive. Users that want to watch movies on the system need an external drive and must purchase playback software. There isn't a lot to say about the graphics on the VivoPC other than they work but are certainly nothing to brag about. Like all mini PCs, it relies on integrated graphics that are built into the processor. In this case, it is a rather low-end Intel HD Graphics solution. It isn't suitable at all for playing PC games. Instead, it is usable for standard desktop and media streaming up to 1080p resolution. It provides some minimal acceleration for media encoding through Quick Sync-compatible applications, but it is not going to be quick because of the low speed of the processor. Wireless networking is usually standard for all mini PCs. The Vivio PC stands out because it offers the latest 802.11ac wireless networking for the fastest speeds possible and support for the 5 GHz spectrum. Pricing for the ASUS VivoPC VM40B-02 is extremely affordable. This makes it just slightly more expensive than the ASUS ChomeBox device and some of that cost can be attributed to it including a keyboard and mouse. This makes it an incredibly affordable home theater PC for consumers who want to do a bit of browsing and media streaming. The best part is, it features Windows for all your standard applications.